WIRELESS HEADSETS GIVE YOU THE ULTIMATE PRODUCTIVITY BOOST! WIRELESS HEADSETS FOR YOUR OFFICE. Plantronics offers Over-the-Head and Over-the-Ear wearing styles, ranges that exceed 300 feet, and the ability to answer and hang-up remotely with optional handset lifter. Choose from our latest Office Wireless Headsets. HOME OR SMALL OFFICE WIRELESS HEADSETS. Going wireless at home lets you talk to friends and family while picking up the house, finishing dinner or any other chore where multi-tasking can save you time. See our selection of Plantronics Home Wireless Headsets. BLUETOOTH WIRELESS HEADSETS FOR MOBILE PHONES. State laws are quickly requiring drivers to use hands-free devices while driving to increase safety. Jump on-board with any of our high quality Bluetooth Wireless Headsets. GAMING AND MUSIC WIRELESS HEADSETS. Enjoy wireless headset gaming without being tangled in cords or enjoy your music as you bee-bop around the house. Incredible quality and affordable Computer Wireless Headsets. You can easily find a wireless headset that meets your application needs, provides the quality you desire and is comfortable for all-day wearing. NEXT GENERATION OFFICE WIRELESS HEADSETS. WHY YOU NEED VOYAGER PRO HD BLUETOOTH HEADSET? 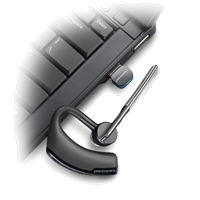 Just give us a quick call at 1-800-914-7996 or view our wireless headsets online. How is the quality of wireless headsets? As technology as advanced, so has the quality of wireless headsets. As you’re on your wireless headset, your caller will never know your roaming your office or home as you collect needed documents for the call. How do I know which wireless headset is compatible with my phone? With many wireless headsets to choose from, compatibility and making sure you purchase everything you need is extremely important. We have an online compatibility guide but the best option is to call us. How does a wireless headset work with a multi-line office phone? 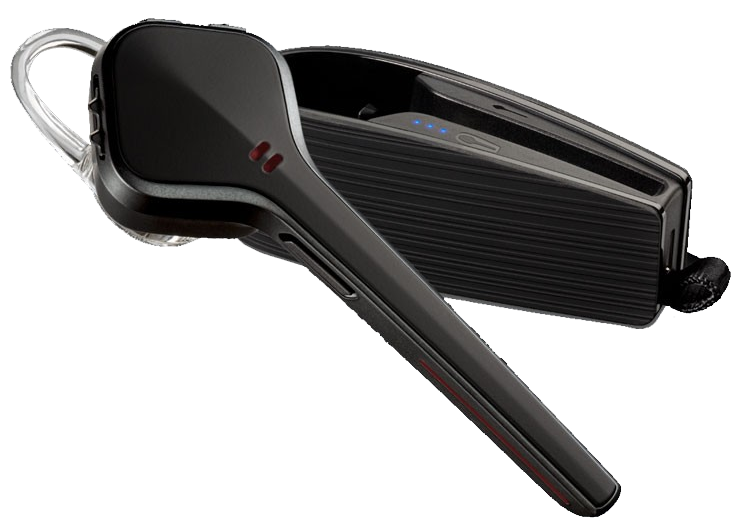 The Savi and CS500 series of wireless headsets are made for multi-line office phones. They typically plug into your handset port. With the optional HL10 handset lifter (or compatible Electronic Hook-Switch Cable) you will receive beeps on your headset indicating your phone is ringing. You press the button on the headset and you’re connected to your caller. When finished, push the headset button again to hang-up the call. Anytime you need to dial or transfer a call, you’ll need to walk back to your desk phone and press buttons for those functions. The reason you can’t dial and transfer remotely is because it’s impossible to have a keypad and buttons representing your phone lines and still be compatible with the thousands of desks phone available. A few companies have tried to made wireless headsets with remote features for specific models of phones, but the price was close to $1000 and the call quality was poor. They were quickly discontinued. Will you hear buzzing with wireless headsets? With the advancement of technology and the frequent used for wireless headsets, it’s extremely rare to get buzzing in you headset. Older technology would buzz under florescent lights and next to electrical equipment. If you experience a buzz in today’s wireless headsets, simply move the base unit a few feet in different directions and plug into a different electrical socket. Eith of these should resolve your problem.